Little-known among consumers, ruderalis cannabis stands apart due to its growing characteristics and signature effects. Discussions of marijuana strains are often dominated by debates about sativa versus indica, but most everyday consumers aren’t aware that there is a lesser known type of cannabis that carries specific characteristics that are particularly attractive to growers. That sub-species of marijuana is cannabis ruderalis. In addition to sativa and indica, there is a lesser-known third type of cannabis called ruderalis. 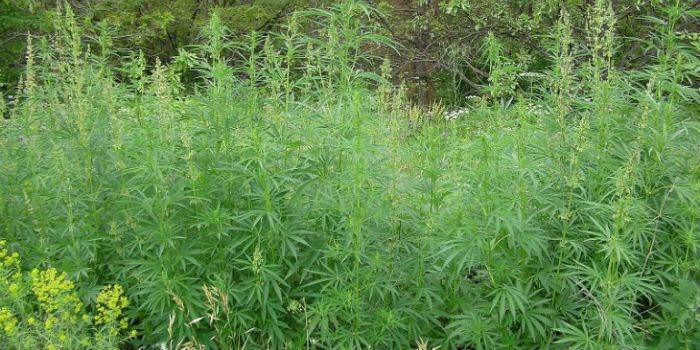 Cannabis ruderalis is a little-known kind of marijuana that is known for its ability to grow in conditions that would kill most cannabis plants. Ruderalis cannabis originates from Asia and Central/Eastern Europe – areas with climates too harsh for other cannabis species to survive. Ruderalis seeds are incredibly hardy and can continue living even after they’ve been cracked open by being stepped on. They detach from the plant easily and can survive, dormant, in the frozen ground until conditions are favorable for the plant to grow. The name ruderalis comes from the words ruderal or rudera, Latin terms that mean “rubble” in English. Ruderal plants are wild plant species that can flourish in land that’s been disturbed by human activity (such as construction) or natural disasters. It’s often found growing near roadsides or on farmland that’s been plowed and left unsown. Many years ago, ruderalis grew wild, but today, breeders have harnessed the power of ruderalis to make hardy and spectacular hybrids. The ruderalis plant thrives in areas with climates too harsh for other cannabis species to survive. Ruderalis isn’t just more durable and hardy than sativa or indica plants; it also looks and behaves differently when grown. Here are the characteristics that set the ruderalis plant apart from all the rest. Growers will find that the ruderalis plant is the smallest of all cannabis types, reaching a height of only 1 to 2.5 feet. The stocky little plants have thick stems and very wide leaves. A ruderalis bud is generally smaller than those generated by other types of cannabis plants. Although they’re small, they’re sturdy and chunky. The autoflowering characteristics of the cannabis ruderalis plant is truly what sets it apart from sativa and indica species. Unlike the others (which must have their lighting manipulated in order to kick off the flowering process), ruderalis cannabis plants will automatically begin to flower between 21 and 30 days after being planted. A month or so after it begins flowering, cannabis ruderalis will be ready for harvest. Specifically, cannabis ruderalis is typically ready for harvest 70 to 110 days after the seeds are planted. The extremely low levels of THC (tetrahydrocannabinol) in cannabis ruderalis means it doesn’t cause psychotropic effects. The fact that the species causes so little in terms of a high is part of the reason it’s rarely grown as a pure species and has largely been overlooked by recreational consumers. Its high CBD (cannabidiol) content makes it an excellent kind of cannabis for medicinal purposes. It’s especially good for medical marijuana patients who would like the benefits of CBD without the high of THC. Marijuana that is high in CBD is typically recommended for people with anxiety or insomnia due to its calming effects. Because there is no “ruderalis high” due to its low THC levels, ruderalis isn’t popular among recreational consumers – but it is of extreme interest to marijuana breeders. Most growers use ruderalis not as a standalone crop, but as an opportunity to create hybrids that contain ruderalis traits. Specifically, breeders value ruderalis because it’s an autoflowering sub-species that automatically begins to flower between 21 and 30 days, regardless of whether the grower manipulates the plant’s lighting. The characteristics of ruderalis allow growers to create sativa/indica/ruderalis hybrids that contain potent levels of THC and will flower automatically. 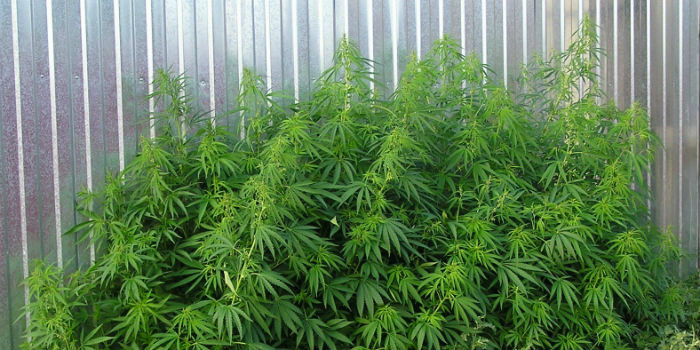 The autoflowering characteristics of cannabis ruderalis make it of particular interest to marijuana growers. Although ruderalis cannabis bud may not be among the offerings at marijuana dispensaries, most consumers don’t realize the impact that this little-known cannabis species has on their overall selection and experience. Using the power of cannabis ruderalis, growers are able to alter the genetics of their other strains – giving them autoflowering characteristics, boosting their CBD levels, and ensuring a hardier, more robust cannabis crop. Cannabis Types - A guide to the different types of cannabis: sativa, indica, hybrids, hemp, and ruderalis. Cannabis Indica - From couch-lock to pain relief, what is cannabis indica and how it helps people chill out and feel better. Cannabis Sativa - An exploration of sativa effects, medical uses, and characteristics of the sativa plant. Hybrid Cannabis - A 101 guide to hybrid marijuana – from growing hybrids to their effects. Industrial Hemp - A guide to industrial hemp uses and the health benefits of hemp. Sativa vs Indica - The difference between sativa and indica: from effects to plant characteristics. Cannabis & Health - A guide to the many benefits of marijuana, including medical and general health uses.